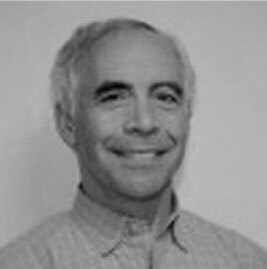 Steve Winick serves as the Managing Director of Topspin Partners. Mr. Winick came to Topspin from Honeywell, Intl., where he most recently served as CIO of its $2 billion Security Group. He had been with Honeywell (and the Ademco division of Pittway Corp., before its acquisition by Honeywell in 2000) for over 21 years as CTO of the security business, as well as founder and president of its wireless communications services business. Mr. Winick also serves on the Board of the Long Island Angel Network. Mr. Winick received a B.S. in Economics from the Wharton School of the University of Pennsylvania in 1971 and a B.S. in Electrical Engineering in 1972, also from Penn. He received his J.D. from Georgetown University Law Center and is both a member of the Bar of the State of New York and a registered Patent Attorney. He presently serves as a Director of Thermolift, Inc., Celmatix, Inc., Setpoint Medical, Inc., Mirimus, Inc., GenDX, Inc., and Certerra, Inc.